Chandigarh, January 19, 2016: The fourth season of The Hockey India League is all prepared to set the ground on fire. In an event organized today, DELHI WAVERIDERS declared the arrival of its young brigade and announced the team for the 2016 league. Under the mentorship of Chief Coach Mr. Cedric D Souza, the team is all set to take on the opponents and prove their mettle on field. Simon Child will be leading the team as Captain, who has made an indelible mark as one of the world’s premier strikers is the game. Rupinder Pal Singh, the ace drag flicker of India was announced as the Vice Captain of the team. Mr. Cedric D Souza, team’s chief coach, released the team’s jersey and shared the strategy for the season. With young and new talent, picked from the pool of hockey fraternity, the Delhi team is all set to bring their best game forward. Under the captaincy of Simon Child, the young team is all set to pump up the excitement on the grounds and would put all their efforts and enthusiasm in winning the league. Child has been a key member of DWR since its inception. The team includes some promising faces of hockey, 20-year-old Harjeet Singh, the captain of the India’s junior hockey national team, 18-year old Mandeep Singh, who emerged as the rare gem that India unearthed during the World Hockey League 2014 & Yuvraj Valmiki who was key performer at various Hockey World Championships. As the Hockey India League is scheduled to kick start from January 18 and conclude on February 21, 2016, six teams would be competing against each other in 34 matches. 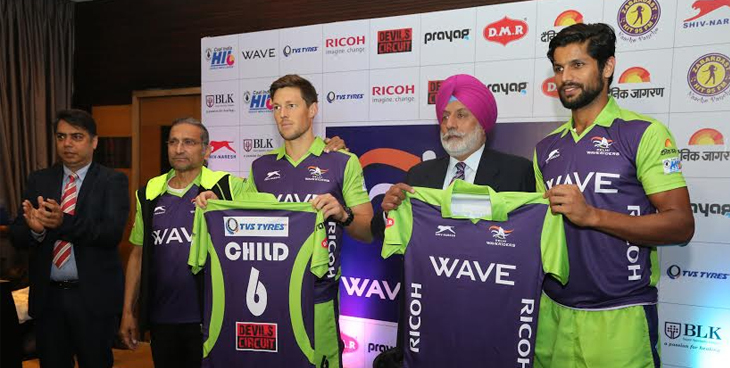 The team of DELHI WAVERIDERS for the present season would encompass of 8 International Players & 12 Indian Players. Indian Players: Rupinder Pal Singh (DWR Vice Captain), Harjeet Singh, Talwinder Singh, Yuvraj Walmiki, Mandeep Singh, Santa Singh, Amit Gowda, Vickram Kant, Harjot Singh, Surender Kumar, Parvinder Singh, Prabhdeep Singh. Winners of the second season of the league held in 2014, DELHI WAVERIDERS is a team that stands for the respect for hockey, our national sport and the glory of the players who represent this game. 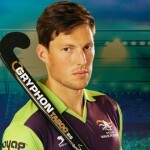 DELHI WAVERIDERS is the Delhi franchise owned by WAVE Group, in the Hockey India League. DELHI WAVERIDERS is proud to be a part of the Hockey India League, a premier sports league and a significant milestone in the history of this game. It brings the game where it belongs – to the people. We endeavour to bring the game back to its former glory, packed with exhilarating moments in sport.